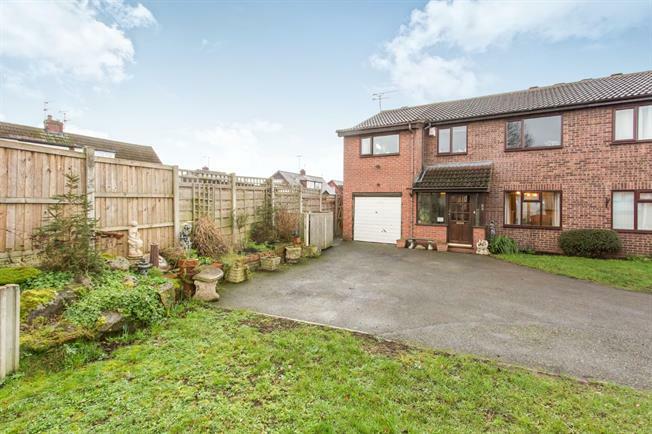 4 Bedroom Semi Detached House For Sale in Sandbach for Offers in the region of £270,000. Situated on a generous plot this well presented four bedroom semi detached house with substantial two story extension offers spacious and flexible living accommodation for a family. Located in the Elworth area of Sandbach with a wide range of local amenities and facilities including schools, shops and train station. Ideally located for Sandbach town centre with offers access to a good range of independent boutique shops, supermarkets, restaurants and stunning church. The property comprises of lounge with through diner, conservatory, breakfast kitchen and WC . To the first floor there are four bedrooms with the master bedroom also benefiting from have en-suite facilities and separate family bathroom. Outside the property there is an extensive drive providing ample off road parking, garage and enclosed rear garden.